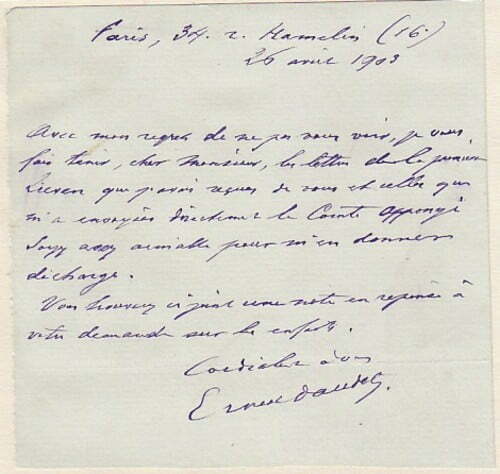 Autograph Letter Signed ‘Ernest Daudet’, responding to a recent letter. In French. 1 page 4½ x 4½ inches, laid down, in good condition. Paris, 26 April 1903. Ernest Daudet (1837-1921), French writer.